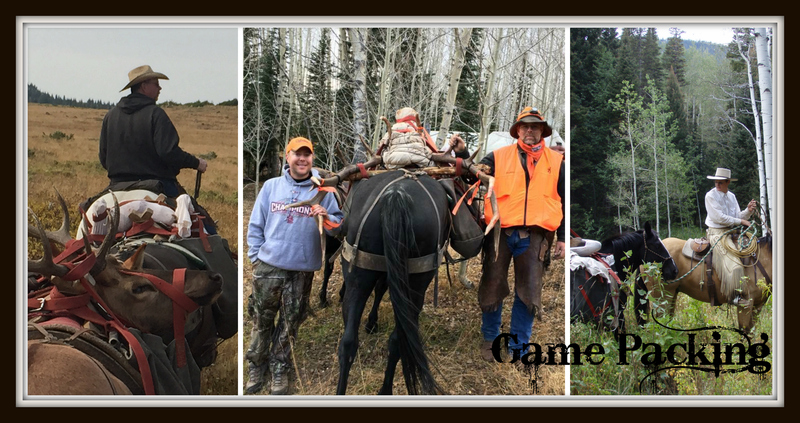 We operate our Archery, Muzzle Loading and Rifle elk hunts under special use permits issued to us by the USDA Forest Service in the White River National Forest and the Flat Tops Wilderness Area in game management unit 24. We are the home of the world’s largest herd of migratory elk. 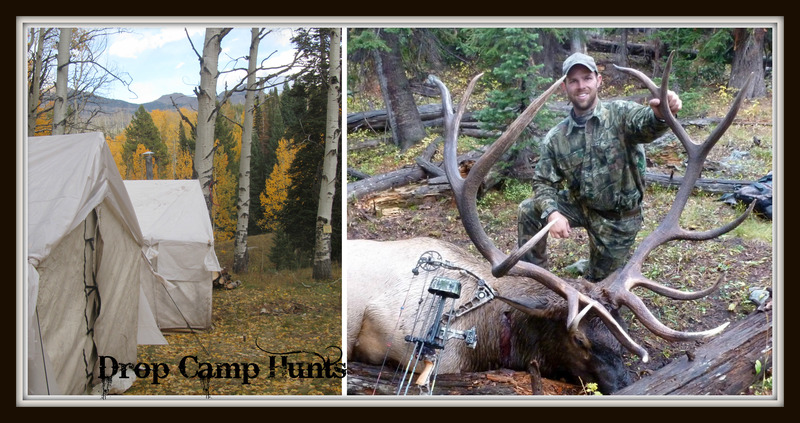 This beautiful country contains all of the geographic features associated with prime Colorado elk hunting country. Elevations range from 8,000′ to 11,400′ across this terrain, covering the movement of the elk from their summer habitat to their winter ranges across the hunting seasons. 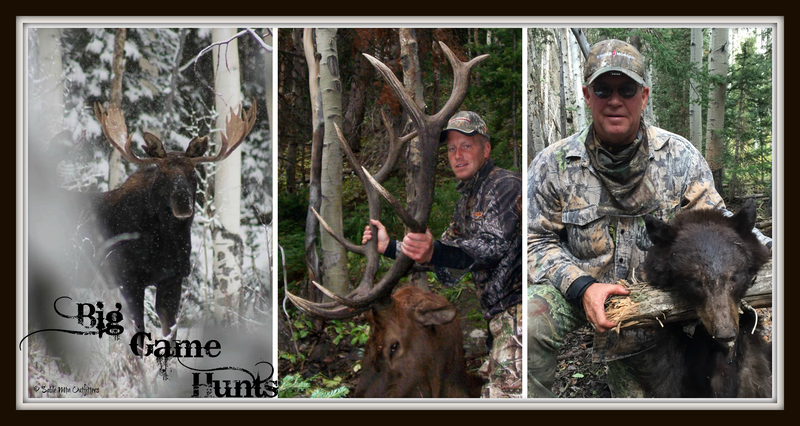 Our hunts are conducted on the Big Ridge, East Marvine, and Main Marvine trails. Elk hunting is the main attraction in the Flat Tops Wilderness and White River National Forest but contact us to discuss bear, moose or mule deer hunts. 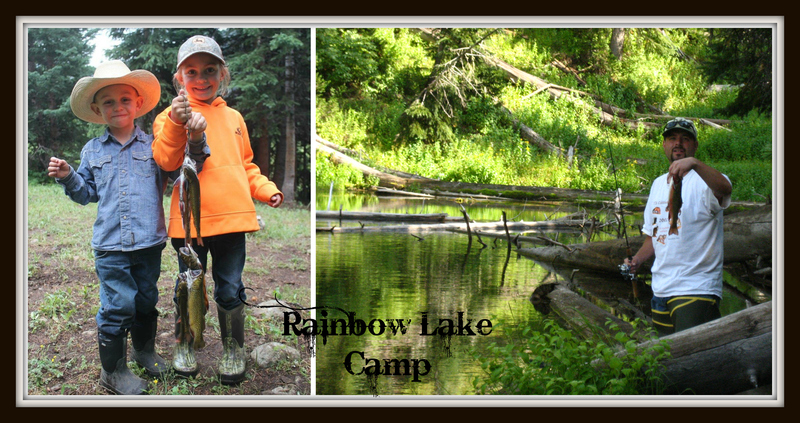 Drop Camps: Our wilderness drop camps are situated in beautiful pine and aspen tree rimmed areas (areas that elk love!) 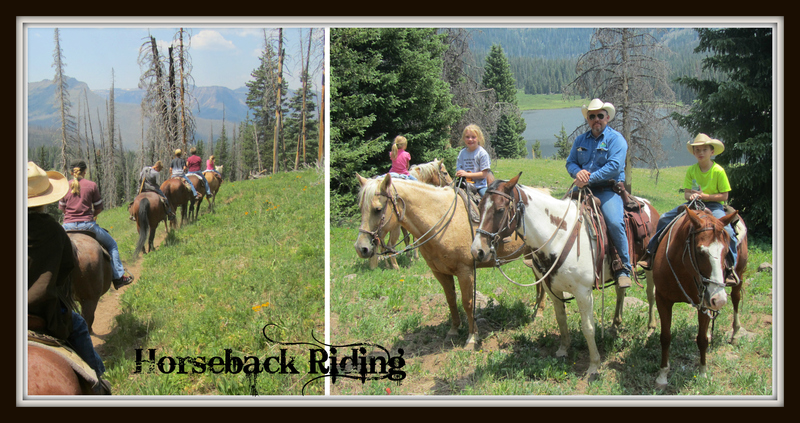 and are accessed only by horseback. 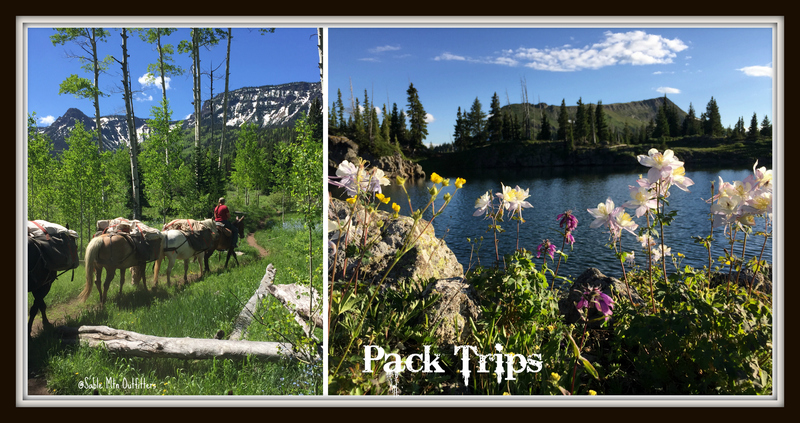 Our comfortable drop camps are fully furnished with everything you’ll need and will also include your pack in and out on horseback, camp checks, and game packing. You provide only food and beverage for your stay, a warm sleeping bag, your personal gear, and your hunting equipment. 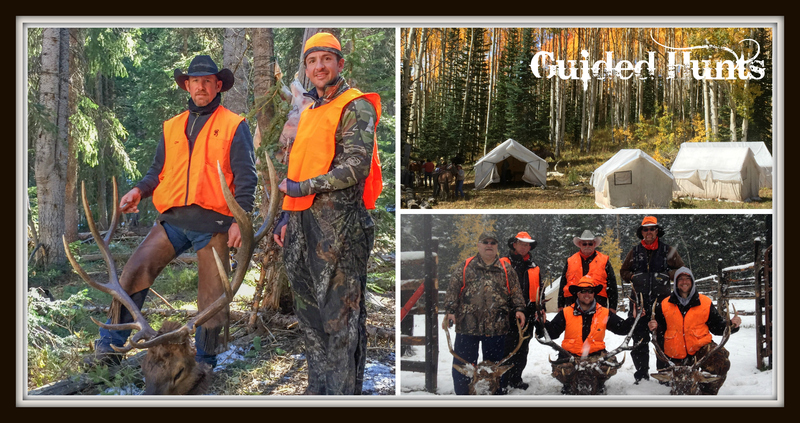 Guided Camp: Our most popular hunt! 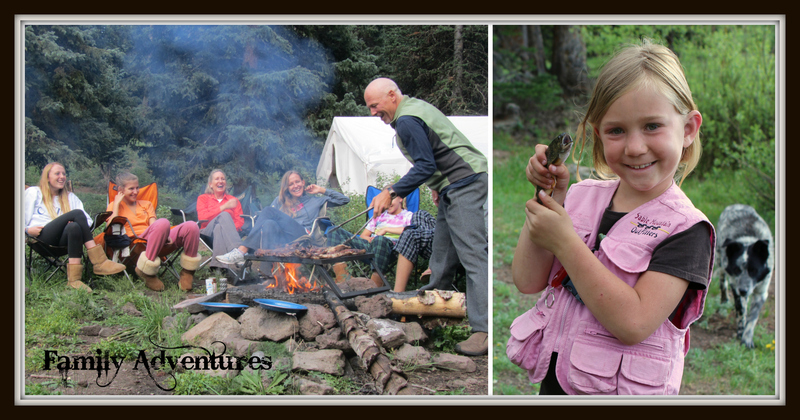 This highly sought after guided hunt also includes comfortable lodging in our wilderness base camp accessed only by horseback and delicious, hearty meals served up by our camp cook, complete with a great story. 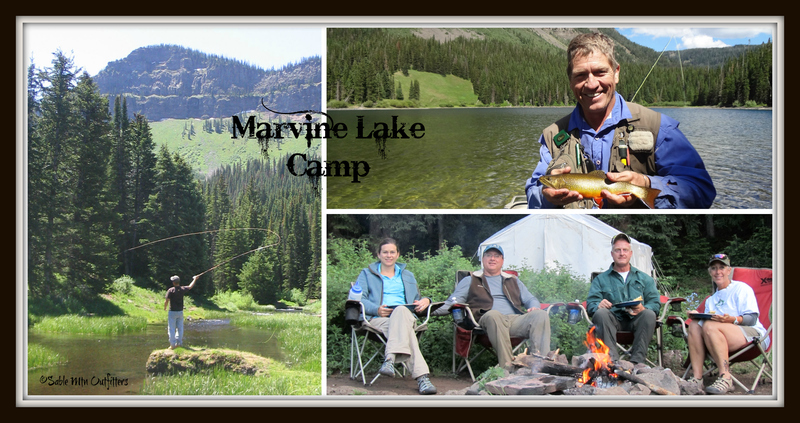 All you need to bring is your warm sleeping bag, personal gear, and hunting equipment. 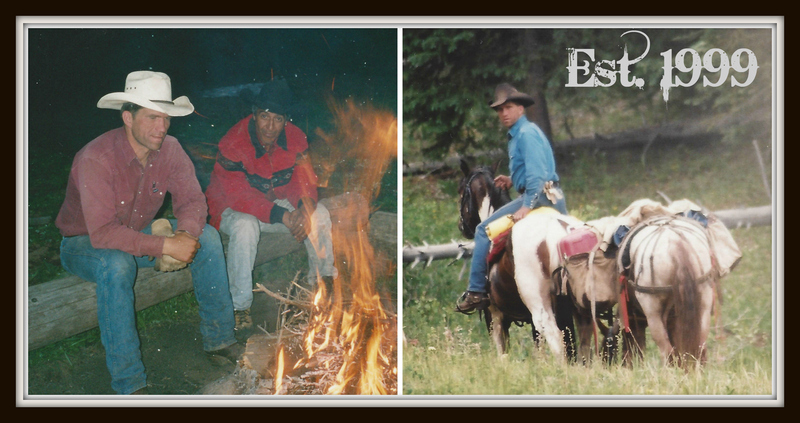 Guided Hunt: We provide the same great guided hunt on horseback, but you provide your own lodging and meals. We can make some recommendations for places to stay and eat. Game Packing: Experienced packers are available with our pack string to bring out your game. You will need to field dress and quarter the animal. We charge extra for animals outside our local area (our corral at the Marvine Trailhead) or if we need to field dress, quarter or skin your animal. We are permitted to pack game in White River National Forest (Blanco District), Flat Tops Wilderness, Jensen State Wildlife Area, and Oak Ridge State Wildlife Area. Pricing starts at $250, please call for quote. Terms of Services: Signed contracts and a 50% deposit are required to reserve a hunt. For Archery, Muzzle Loading and 1st and 4th Rifle seasons, which are contingent on a license draw, 25% of the hunt fee is due at the time of booking to reserve your hunt. Once you draw your license, the remaining 25% of the deposit will be due June 15th. If you do not draw, the 25% will be refunded to you or held to book your hunt the following year. Balances are due upon arrival to Sable Mountain Outfitters via cashier’s check, money order, cash, or credit card. Deposits are nonrefundable and no refunds or credits shall be given for late arrivals or early departures. The cost of hunting licenses and application processing fees are not included in Sable Mountain Outfitters’ prices. *Licenses for these seasons are issued by drawing only. Applications are available from the Colorado Division of Wildlife. This year’s limited license application deadline is April 2, 2019.